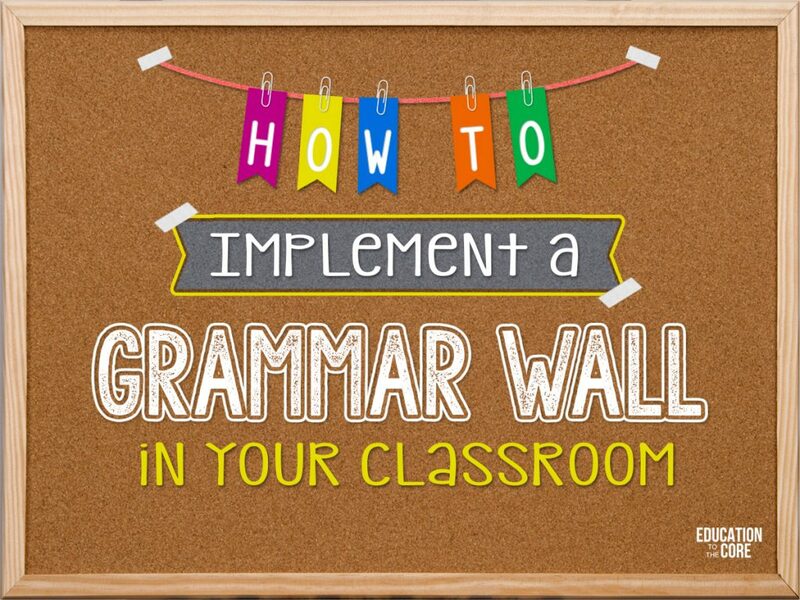 First off, if you are asking yourself, “What is a Grammar Wall?” or if you are interested in learning more about Grammar Walls, you are in the right place! 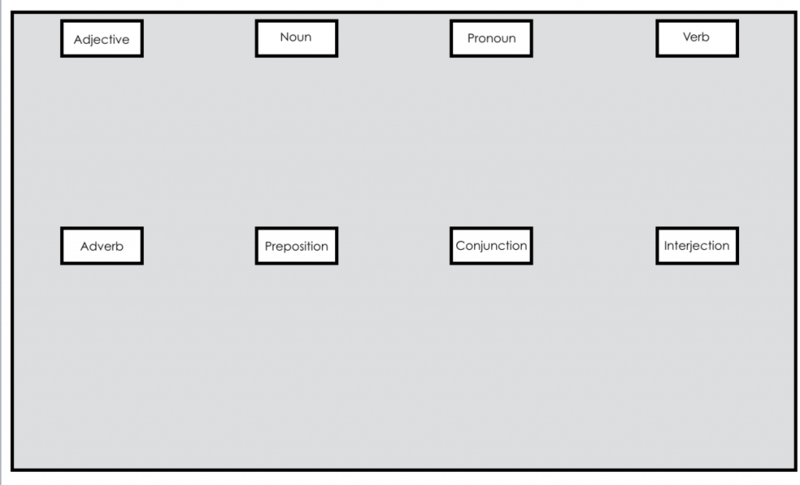 If you have any hesitation about starting a Grammar Wall in your classroom, be sure to save this article! 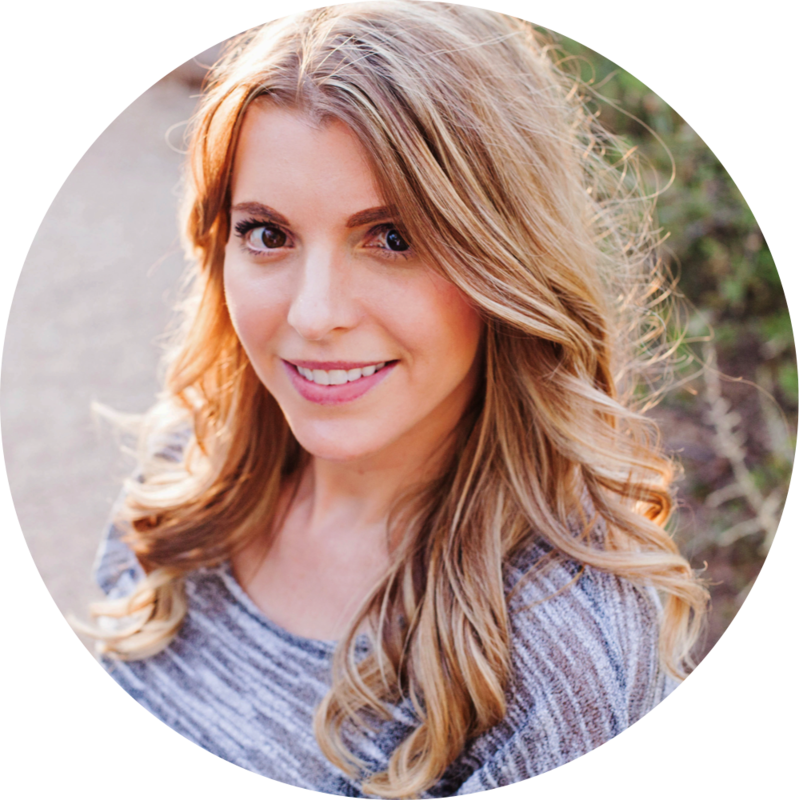 Consider this your crash course! What in the world is a Grammar Wall? 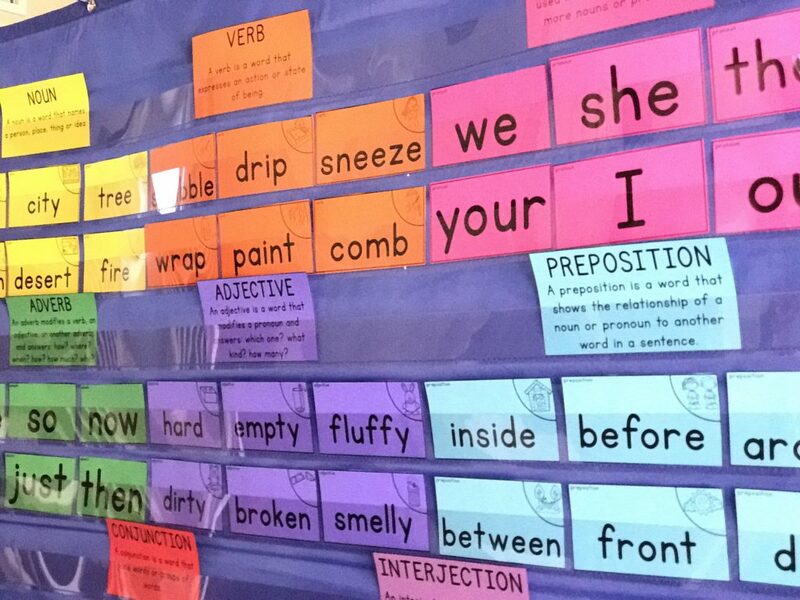 A grammar wall is a wall of words and vocabulary organized into the eight parts of speech. They can be as simple or complex as you need them to be. The great thing about Grammar Walls for primary students is that they will benefit greatly from having a grammar wall, as each word has a deeper meaning when used in a sentence. To learn about the benefits of having a grammar wall, you can read about it here! 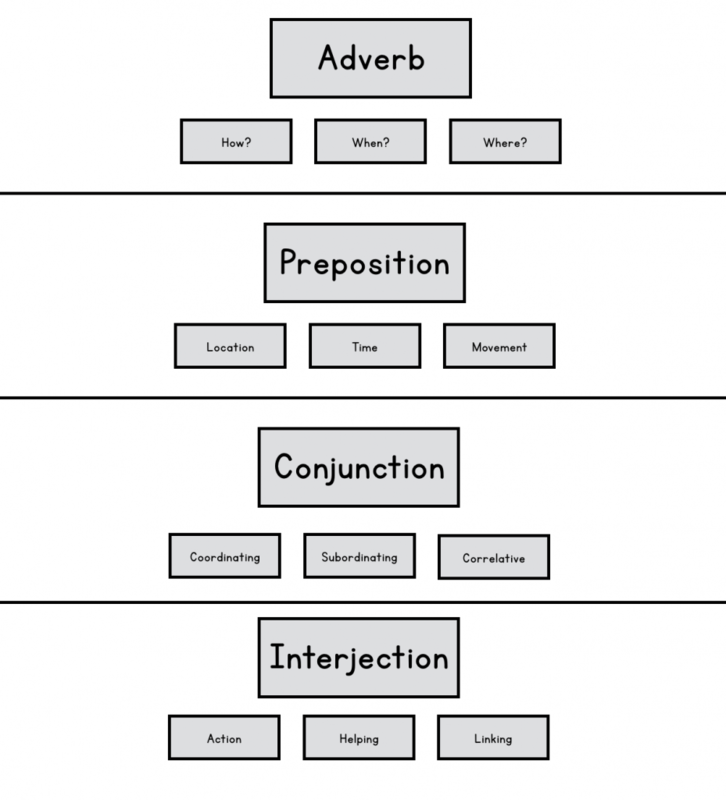 We want to help you get started with a Grammar Wall, without the headache! 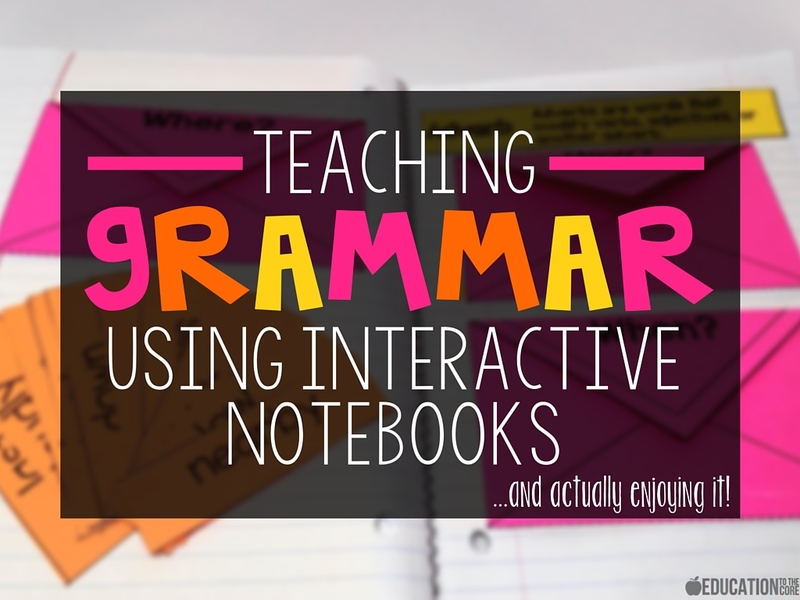 That’s why we created our Color Coded Grammar Wall Kit with everything you need to implement a Grammar Wall in your classroom! 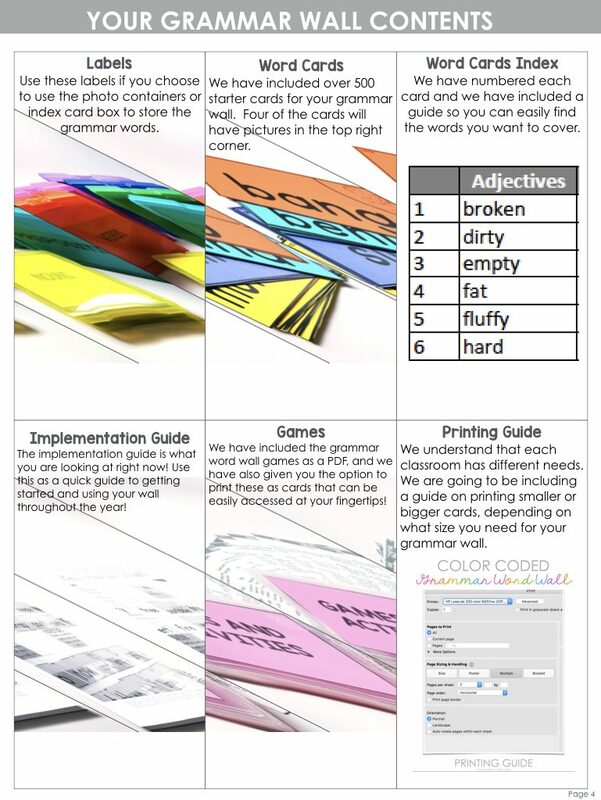 You will be getting container/storage labels, over 500 word cards, an index of words, an implementation guide, games, and a printing guide! How do I store my Grammar Wall materials? You might be wondering how to store your Grammar Wall! We have two suggestions for that. 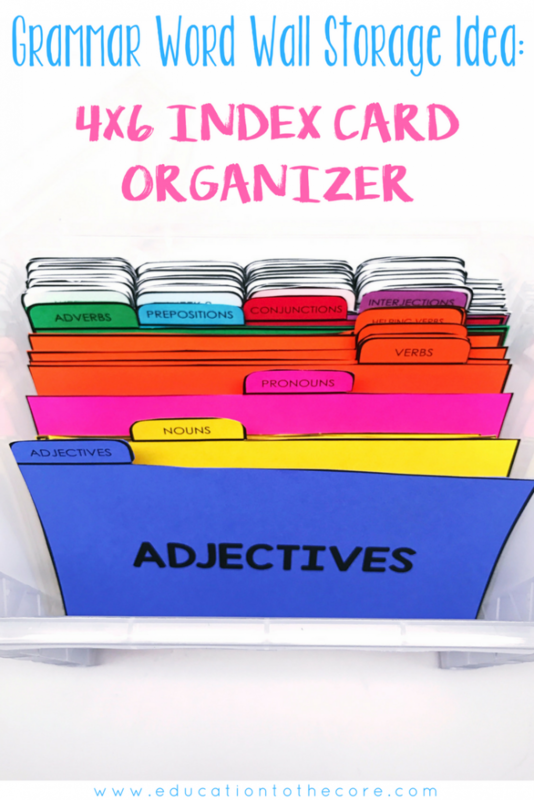 The first option would be to use an Advantus 4×6 index card organizer. 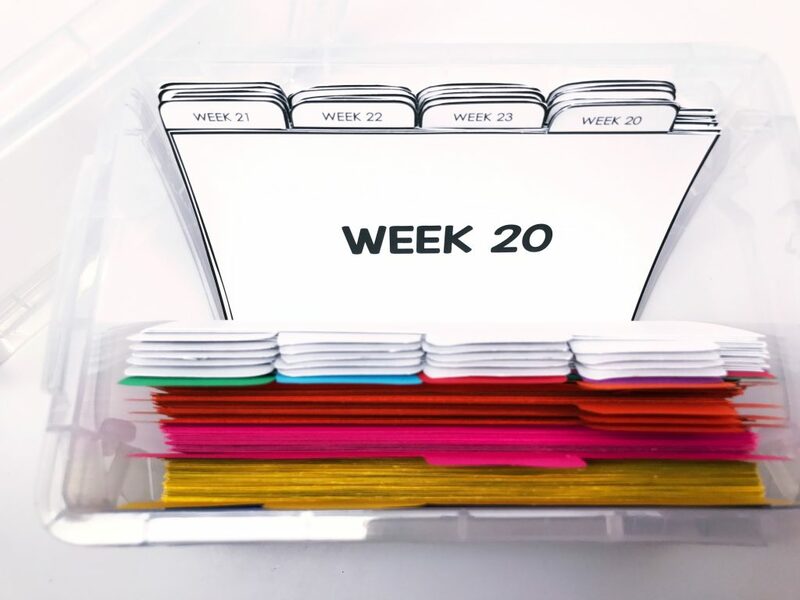 We have included divider cards so you can easily plan and prepare which words you will be using each week for your Grammar Wall! 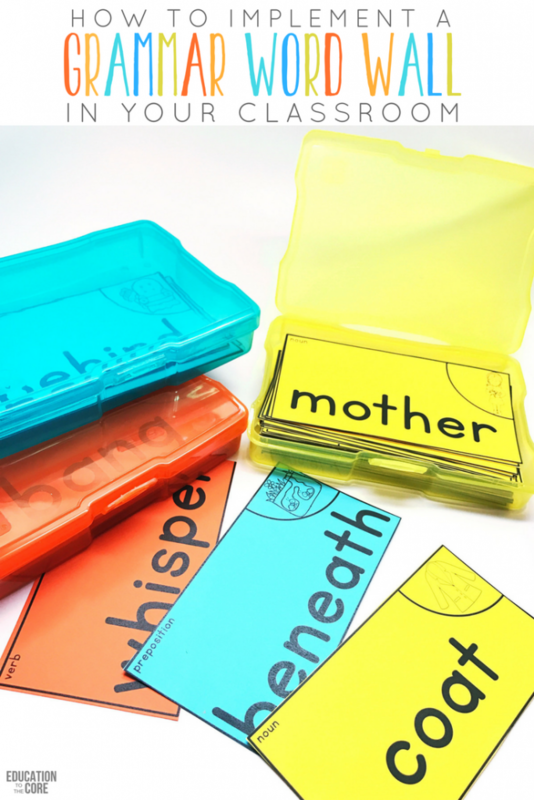 You can “pull cards” from the parts of speech section, and you can organize them by week! That way, you are prepared for the week ahead! The second option would be to use an Iris Photo Keeper with 4×6 cases. How do I set up my Grammar Wall? 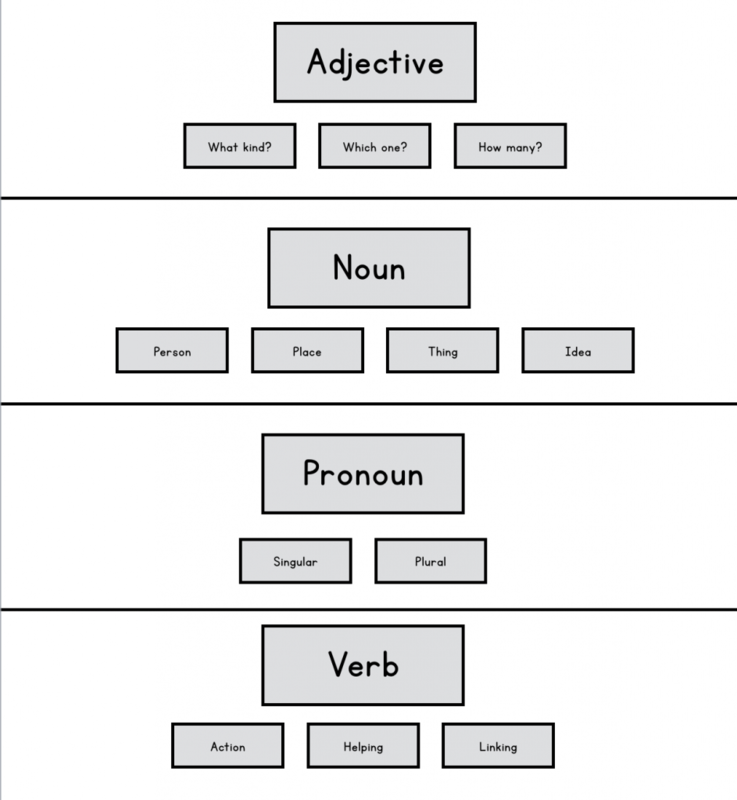 I am sure by now you are wondering how you can set up your Grammar Wall in Your Classroom. There are a couple of ways you can do this. The first one would be to use an extra wide pocket chart like the one you see in the picture below. The other option, if you have the luxury, would be to use an extra wide bulletin board. I will be using a render for now, so you get the idea! You could also create a longer vertical bulletin board! 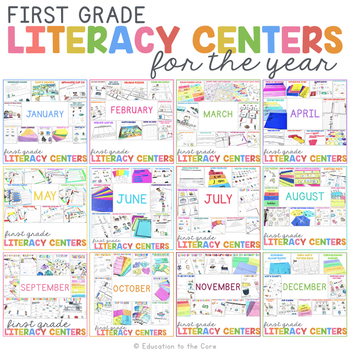 Find a wide bulletin board, or open space in your classroom. Lay the parts of speech headers on the floor to make sure you leave enough space between each header. Be sure to leave enough space between each row. 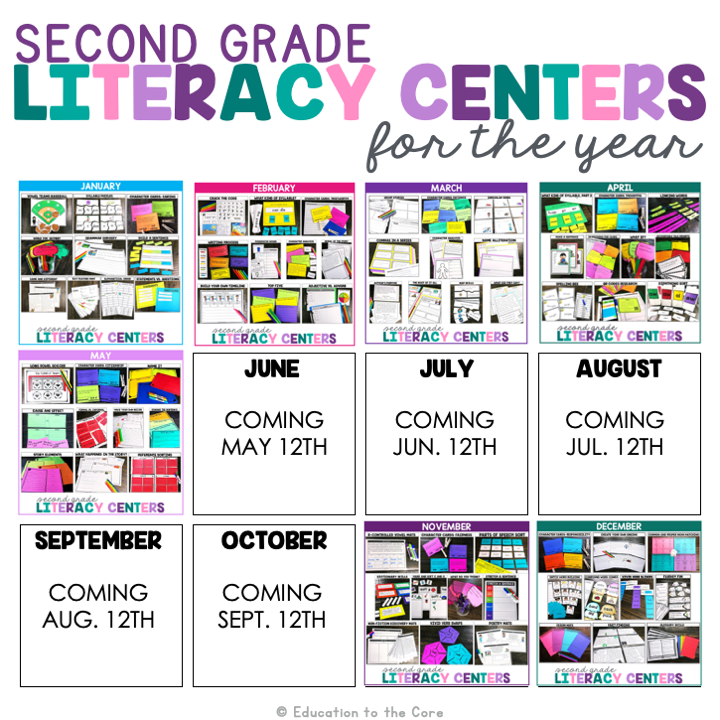 Start at the very top, then start your second row in the middle of your bulletin board. What about my older/more advanced students? We understand every district and curriculum is different! That’s why we also included EDITABLE subcategory cards so you can make and use the ones you need! 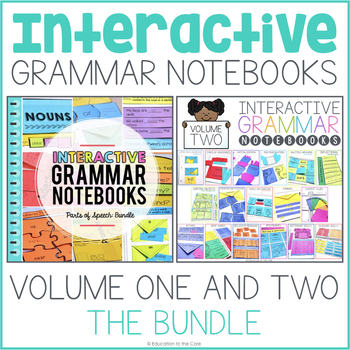 Once you have your headers and subcategories figured out, you have everything you need to start adding words to your Grammar Wall! Your Grammar Wall should serve as an extension of your teaching. You can integrate your Grammar Wall into your instruction throughout the day. You should be adding anywhere from 10-15 words to your Grammar Wall each week. Using subcategories is completely up to you. 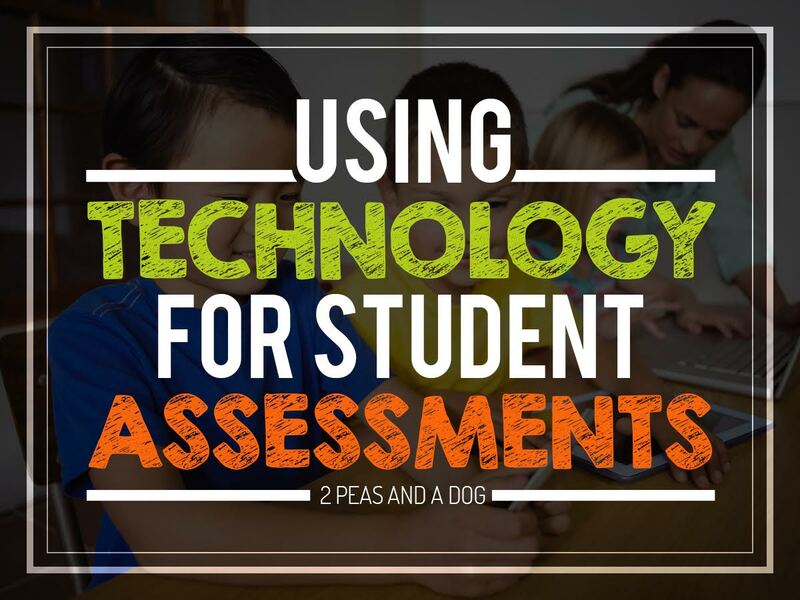 Each classroom, school, and district is different in their requirements. Remember, keep things developmentally appropriate. For example, if the students will not learn about a “linking verb” until next year, you probably shouldn’t use that subcategory. 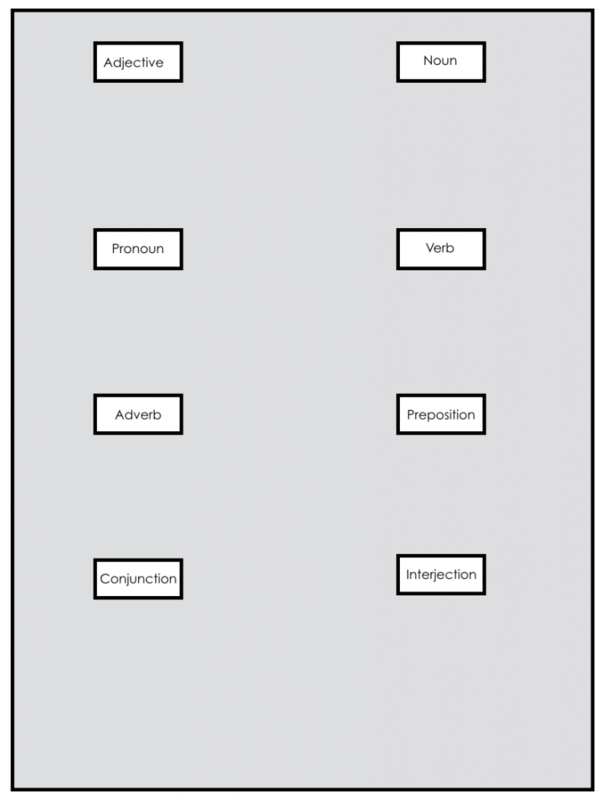 If students know that nouns are divided into people, places, things, and ideas, you might want to use the subcategories. We created the subcategories as an option for you to use at your own discretion. I have had years where I use them, and years where I don’t. It is completely up to you. When you introduce a new word, be sure to have it prepared ahead of time. To help you, we have included a word list, and an index system so you can locate and organize your words quickly. We will not have all the words you teach, as each classroom is different. This starter kit comes with over 500 words. We have also included an editable template and/or blank cards you can use to print out as needed. Hopefully you now have some more confidence in starting your very own Grammar Wall! 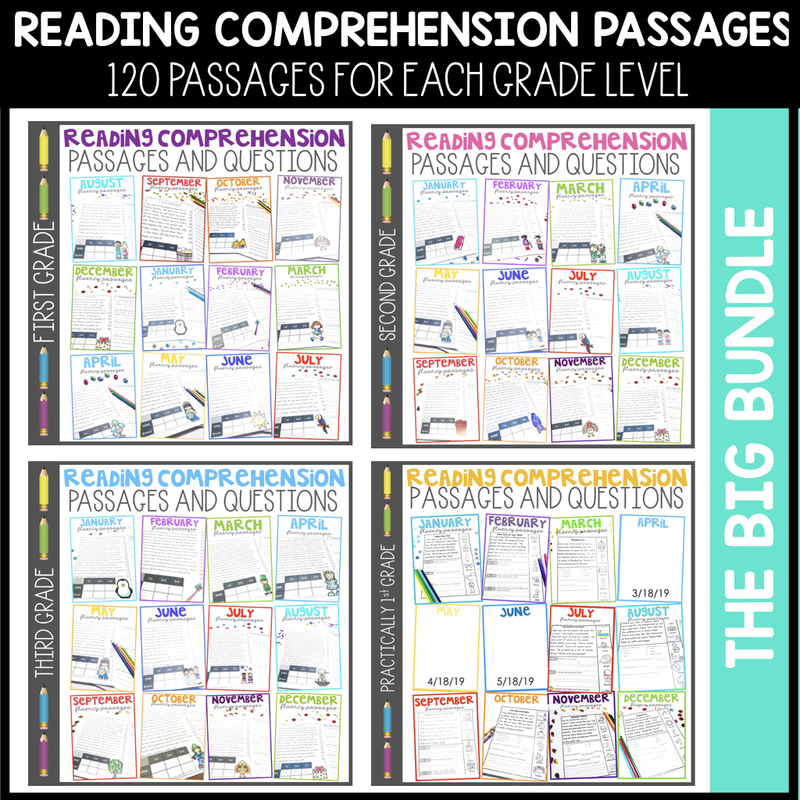 If you are interested in purchasing our Color Coded Grammar Wall Kit, be sure to head on over to our TPT store to get yours today! 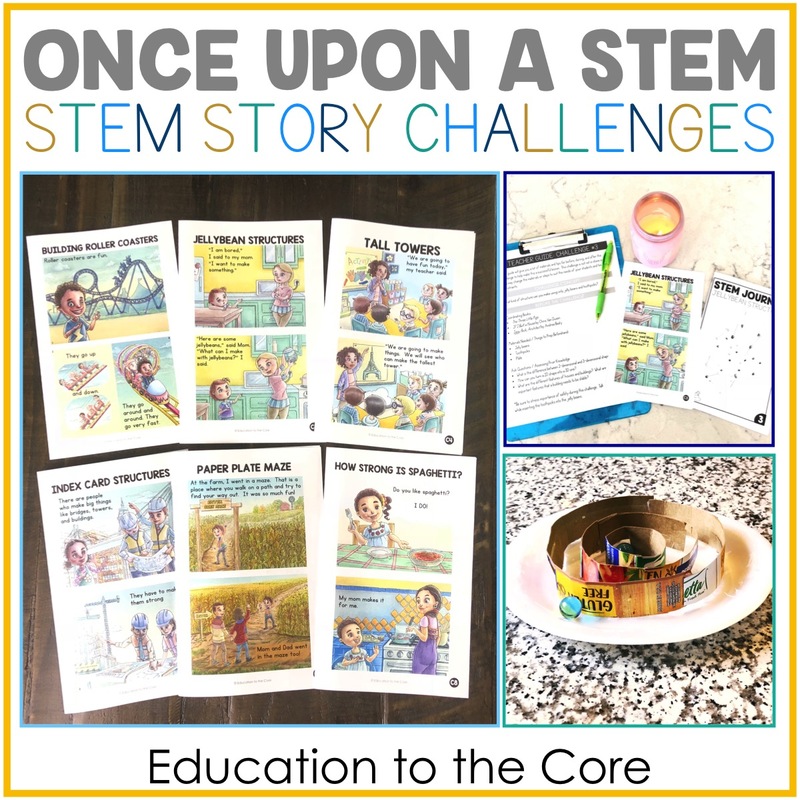 If you would like to stay posted with the latest ideas and freebies, be sure to follow me on Instagram, Pinterest, Facebook, and Teachers Pay Teachers! If you would like to share this post with your friends, be sure to pin it for later! Education to the Core is a participant in the Amazon Services LLC Associates program, an affiliate advertising program designed to provide a means for sites to earn advertising fees by advertising and linking to Amazon.com. All opinions and recommendations are my own and shared from my free will and not part of any promotion. 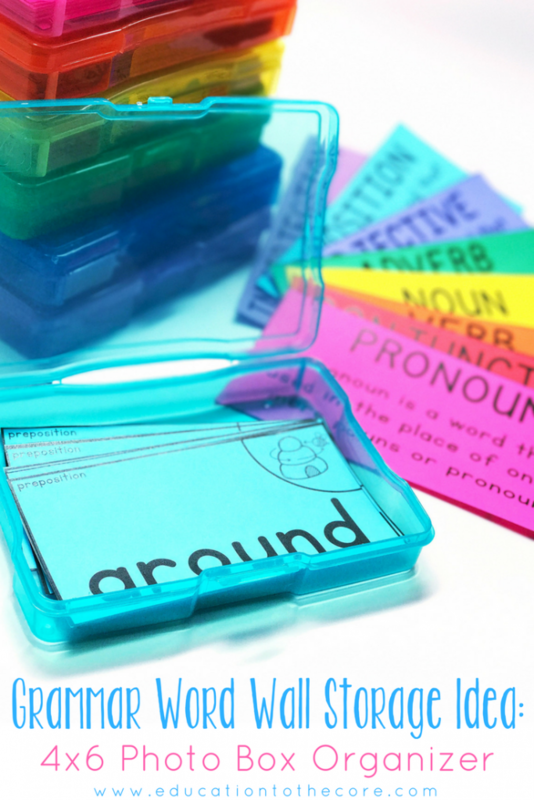 How do I get the grammar wall word cards to print? Hi Rebecca! I am just seeing this comment now, as I get many. Please email me at emily.liscom@gmail.com and I can troubleshoot with you.